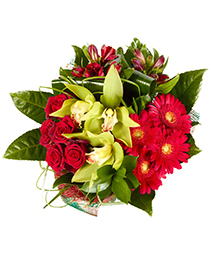 Antelope Valley Florist takes pride in always delivering professional service and the highest quality flowers and floral presentations around! When planning your wedding, we take special care to ensure the bouquets and floral decor reflect your individual style and budget… whether you prefer a look that is timeless and traditional or sleek and contemporary. Our wedding floral consultants can suggest many beautiful design styles to create the look you hope to achieve. 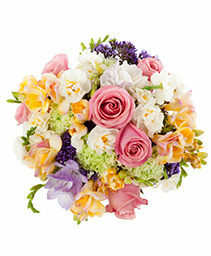 Pick a bouquet that's just right for you! 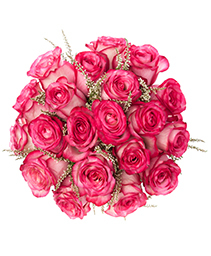 When choosing your flowers, select a style that goes with your gown and overall wedding décor. Our talented floral designers are skilled in creating all types of bridal bouquets. We offer lush cascading flowers, sleek modern designs with simple elegance, and hand-tied bouquet styles that appear to have been freshly-picked from the garden. To reflect your individual style and personality, let us customize your bouquet and bouquet handle with trendy accents, such as: heirloom jewelry, berries, butterflies, pearls, rhinestones, gem stones, ribbon, decorative colored wire, feathers or whatever else that may suit you. Call (661) 948-6006 to schedule a consultation and let one of our expert floral designers help you plan an unforgettable event! At Antelope Valley Florist, we'll make your flowers more than a memory… Our shop also offers these special event services: wedding and party consultations on-site holiday decorating for homes and businesses corporate event planning wedding and party rentals Antelope Valley Florist is conveniently located at 1302 West Ave J in Lancaster, CA and is open to serve your floral & gift needs.